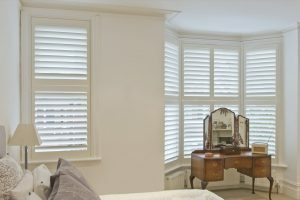 Synthetic Shutters – Ray Ev, Inc.
Ray Ev offers superior cellular synthetic material in our Synthetic Shutters. This material is extruded into solid molded pieces that are then cut and assembled to your custom sizes. This material will not peel, crack or warp. It is water resistant which makes ideal for kitchens, bathrooms, garages and homes close to the ocean. We recommend this material for homeowners who enjoy leaving windows open in all weather conditions. 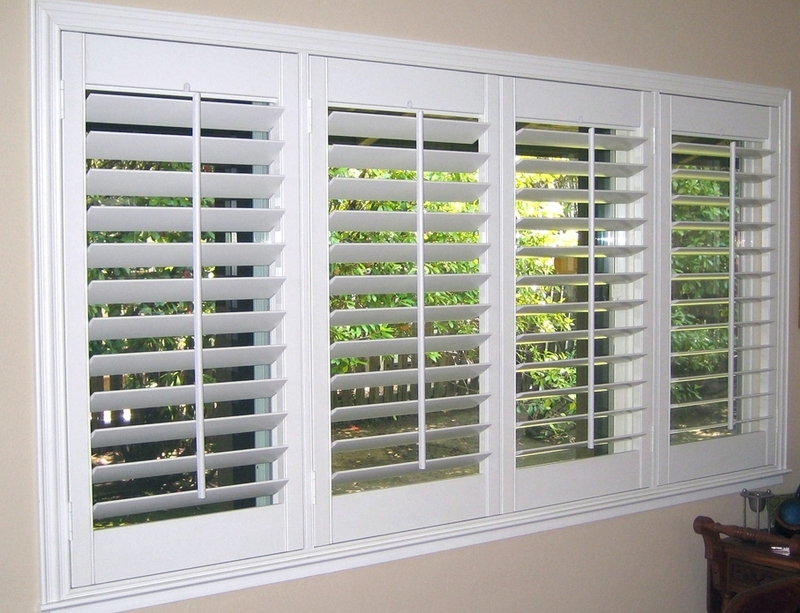 Synthetic Shutters are available in 3-1/2” and 4-1/2” louvers. The frame options are #50 standard outside, #60 standard inside, #70 large deluxe Z or #75 small deluxe Z frames and 2 standard colors available in Bright White and Swiss Coffee. The maximum panel width is 26” and recommended maximum panel length before a divider rail is 60”.